There is a great laptop bonanza at Office Depot right now. These laptops are great, many are as powerful as my own laptop for half the price. Great savings to be had, while supplies last. 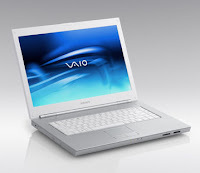 "Add a sense of flair to your computing experience with the head-turning VAIO NW notebook. Fusing a contemporary textured design with soothing colors, the NW possesses a style as unique as your own. Watch movies and play games on the stunning, extra-wide 15.5" XBRITE-ECO LCD screen. Created for online and offline gamers, this NW comes loaded with an Intel Core 2 Duo processor. And with HDMI output, you can connect your NW to your big screen TV and play your content to a larger audience." Sale ends while supplies last.